ToysoldierThor.com is the Grand Central Station for all things "Toysoldier Thor". Toy is hyper, entrepreneurial, and curious, so Toy's presence can be found all over the virtual / online worlds and websites. But this is THE place where you can find out about Toy and communicate back to Toy. > Toy's Art Exhibit @ The Living Room Gallery Open! > Facebook Restores Toy's SecondLife Name - How Was It Done? > SL Enquirer story : "Behind the Scenes with Toysoldier Thor"
> The Best of SL (BOSL) writes about Toy's Bronze Project! > Christmas ExtravaDanza by Euphoria on LEA12 - Spectacular! This May, Toy completed his exciting 9 month journey to do something not yet done in SecondLife. 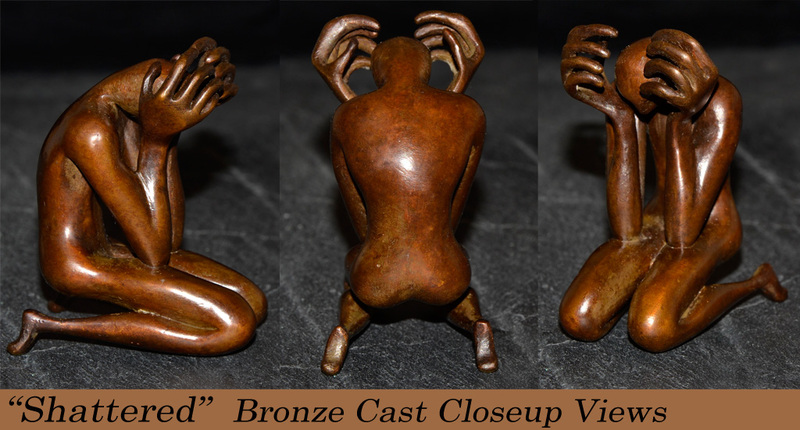 Toy transformed one of his original SL mesh art sculptures "Shattered" into a real life bronze casting. Toy received his 13 bronze cast editions from the art foundry on May 1. Ten of these editions were pre-sold. The first customer to commit to this project was none other than Ebbe Altberg, CEO of Linden Lab Inc. 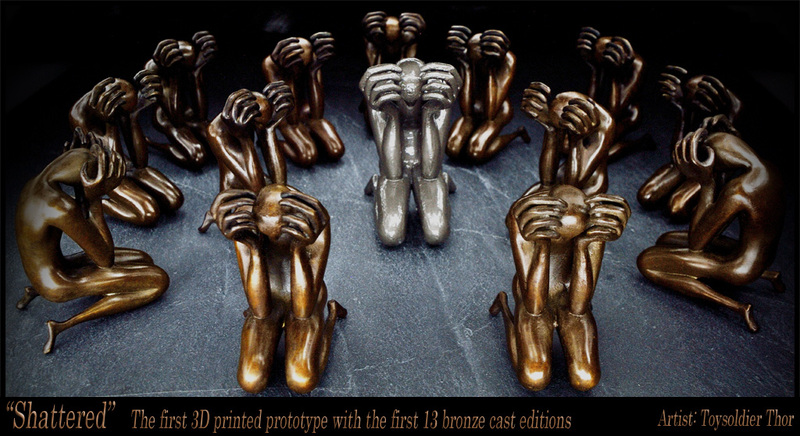 The bronzes is traditionally cast but used a master model generated by the foundry 3D printing Toy's SL digital model. Each edition is 3.5" tall, is solid bronze, and weighs just under 1.5lbs. The SecondLife SHATTERED mesh sculpture as well as the 2D wall art can be viewed at Toy's inworld SL Art Gallery (top floor - patio). Toy releases new products into this SecondLife inworld & Marketplace stores. This is Toy's most recent product release. Click on the image to see details of the product listing on Marketplace.